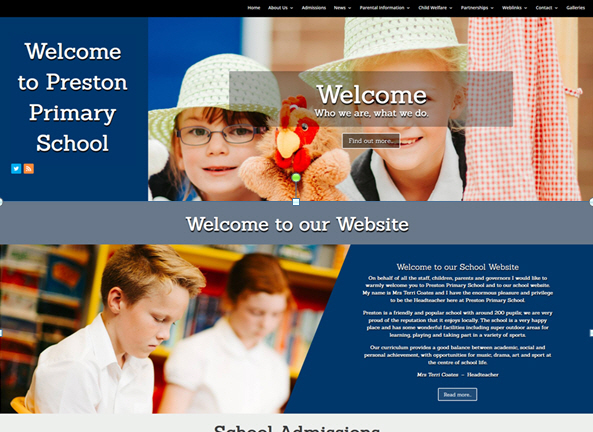 Website styles that will enable you to show off your school and allow easy navigation through the large amount of information that Ofsted require you have on the web. 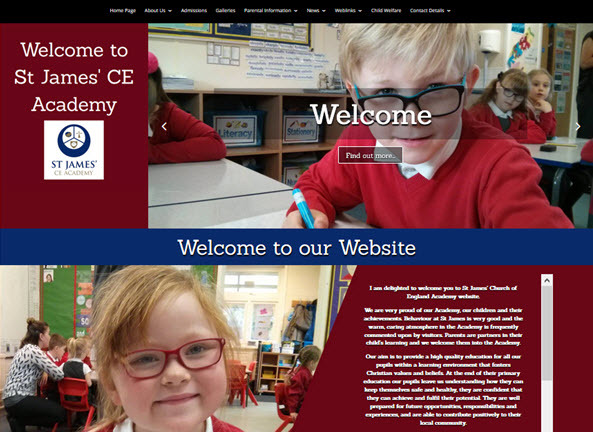 We spend dedicated time taking photos of your school life in order to capture and portray your school’s resources, activities and success online. 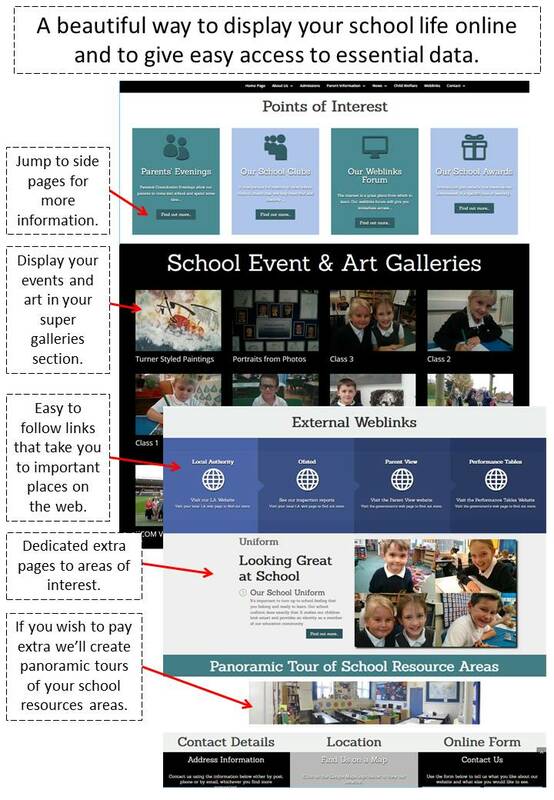 Ofsted require that your school delivers a certain amount of information online in an effective and coherant way. We facilitate this for you. 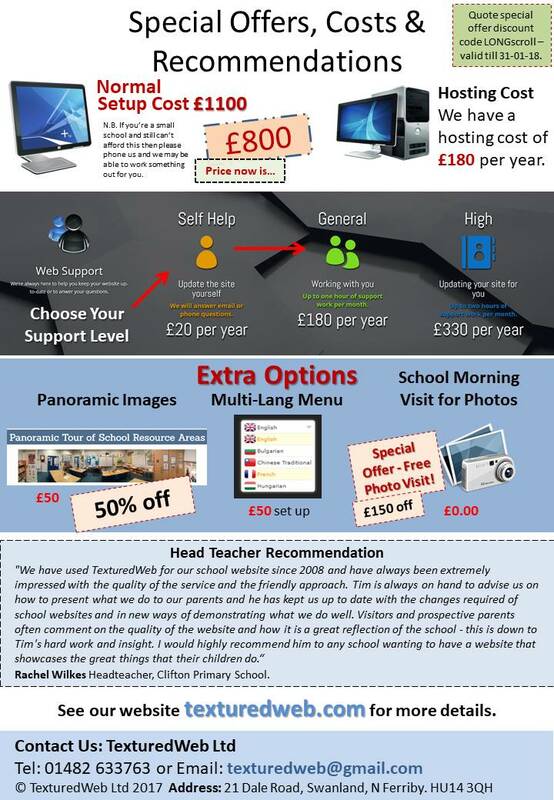 Using the resources of the internet to help you communicate to your parents and school supporters. Sharing technologies that save you time and effort. 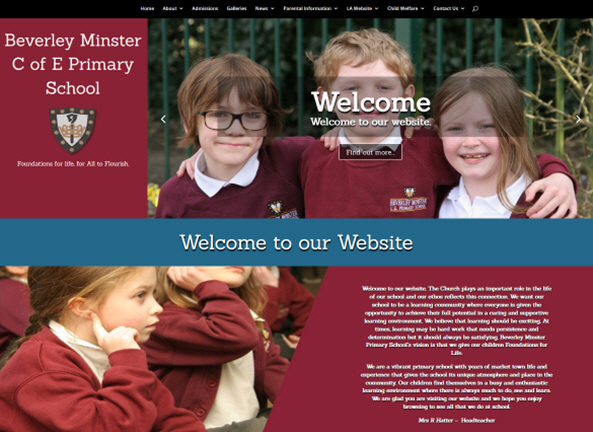 When working with schools we always use a template from which to generate a website as a bespoke site is beyond the financial reach of a primary school. 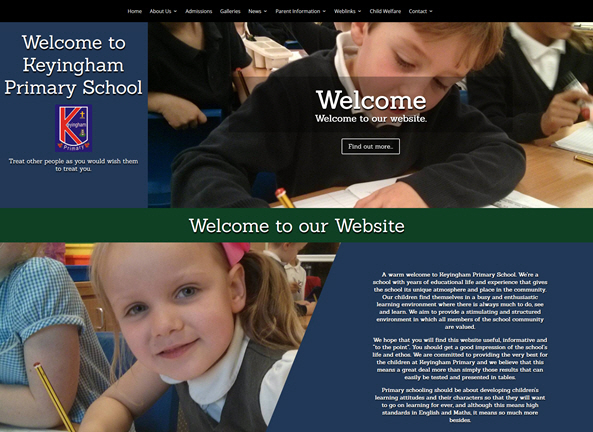 Template websites offer excellent value and can be up and running quickly as the design is pre-set. Then TexturedWeb stamps it with your personal identity. Here’s TexturedWeb’s latest template promotion. 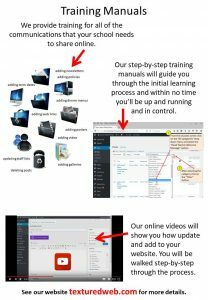 This website style flows all of the information from one long page with side pages that the website jumps out to for more details when information feeds need to be examined. 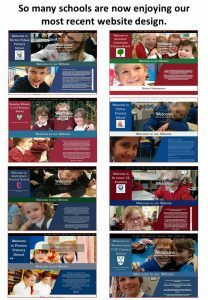 This website celebrates school life with lots of images as well as having a set of pages that are easy to navigate. We’ll help you get just the right photos at the right angles by coming into school to capture on camera school life as it happens. This can be a half day to a full day visit, depending on your budget. We’ll create panoramic images of your classroom areas showing the spaces in which your children learn. Panoramic images of the school hall / dining area as well as the playground and playing field. Panoramic images of the library, computer room and any other learning facilities. We’ll take photos of the children in their place of study and get the best angles for displaying the images on the web. We’ll take photos of play time and capture the fun your children have during their break periods. If there are any lessons of special interest, baking cakes or work in a wildlife gardern etc. then we’ll photo these and make special mention of them on the website for you. 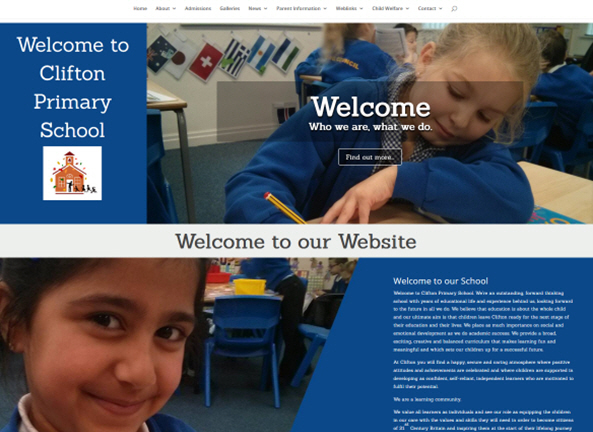 We’ll take a couple of photos of every child in each class and turn them into interactive online galleries. If there are any special events happening we’ll take lots of photos and add these to the gallery section. We’ll photograph wall displays and create galleries from them so that your parents and followers can enjoy the art that you show off around school. If there are any individual pieces of art or 3D design then we’ll photo those for their own gallery on the website’s front page. 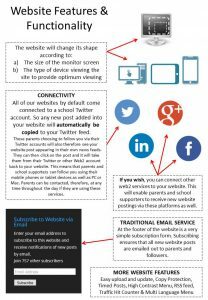 There’s so much that needs to be communicated on a school website, it can be overwhelming to a parent or school supporter. We make sure that every part of the website is distinct in character and easy to access. 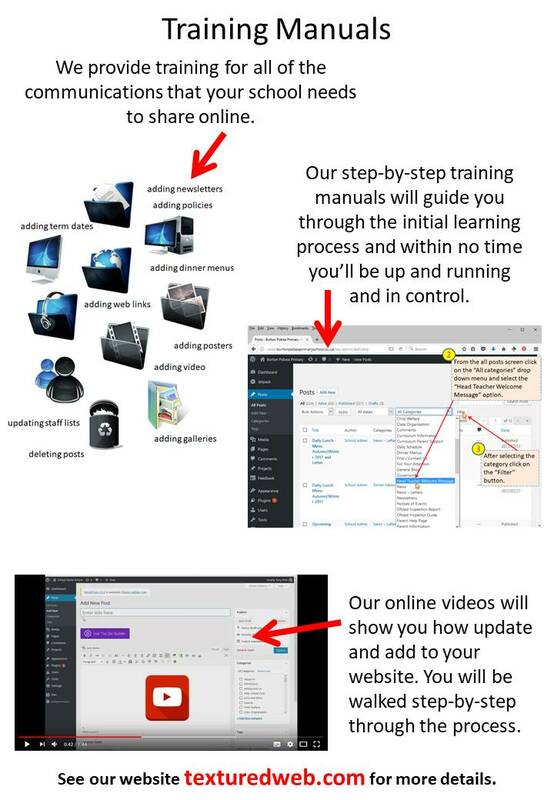 This prevents confusion and allows full access to the files, images, posters, menus, newsletters etc. that the person is looking for. Making sure that everything that needs to be on your website is displayed in a clear and easy to navigate format. 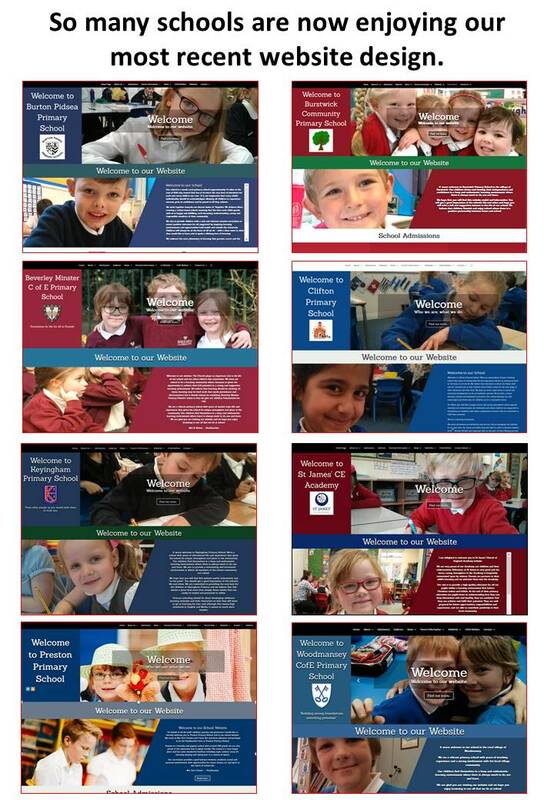 Pages for the staff, governors, the PTA and the school council. Showing how they all work together to ensure that the school is a great place to learn. 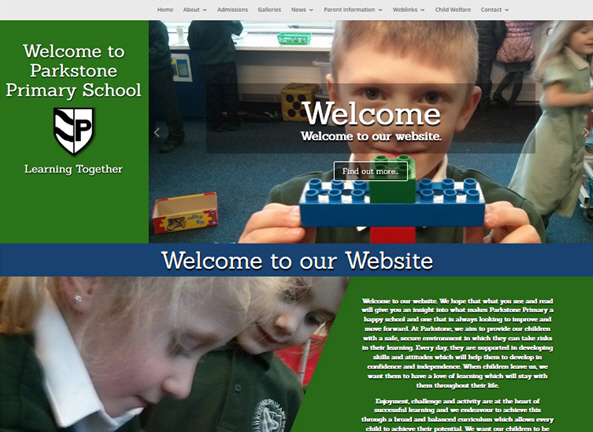 Showing the school’s approach to learning and the values that underpin that learning process. The school vision showing aims and targets. Showing the different awards that the school has achieved. How we take care of your children and protect them whilst they are with us. How to apply for a place at school for your child. This normally includes a link to your school’s local authority website, the government guidelines website and an admissions policy document for you to download, if the school has one. An outline of the curriculum so that parents know what your child is being taught. The different policy documents that drive the daily running of the school. 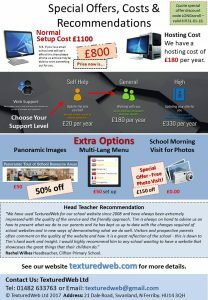 How we spend both pupil and sport premium monies in order to enable the children to learn and thrive in their education. We can display your school’s statistics via addinging a link to the national performance tables. You can also post into a stats and resultes news feed any extra information , such as parental feedback from questionniares etc. Find out what the school uniform is and where you can purchase it. 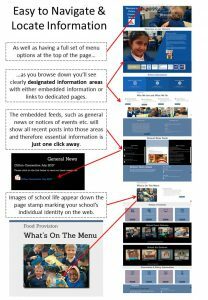 Being able to post your thoughts and activities onto your website for the purposes of sharing your activities, and so connecting with your parents and supporters or for the promotion of your school events and achievements. Showing what is on the menu for school dinners. This will include vegetarian meals as well as regular school dinners. Attaching your newsletters to a post so that it can be downloaded from the website. Evenings when your child’s class teacher can talk with you about your child’s progress in school. Showing when the school is open and closed throughout the academic school year. 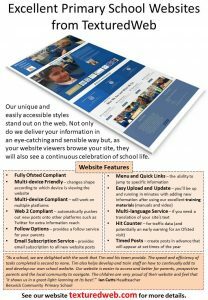 Links to the L.A., Ofsted reports, Parent View, performance tables and any other weblinks that the school feels is important. Being able to add photo galleries or embed video code into a post. If you wish to use some 3rd party plugins to add extra functionality we’ll add those to the site as long as we’re happy that they’re well put together I.T. products and compatible with the website. 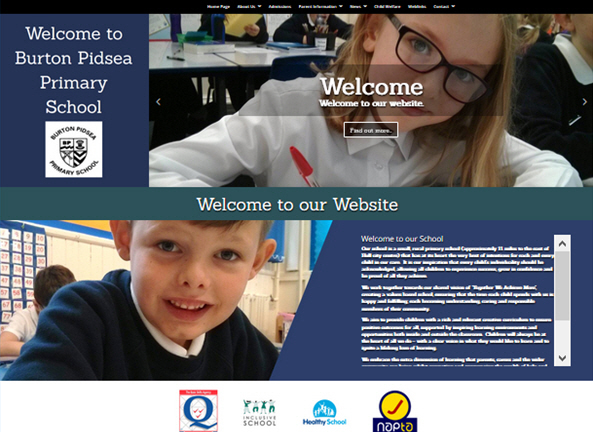 Having the ability to share the different events of school life on the web and so to celebrate the achievements of the children online. All of our letters and newsletters will appear on the front page of the website in your general news feed. This makes finding the latest news easy and simple. Add news about any event to the front page blog, whether a simple text post or a poster to advertise an event. Add links to a gallery of images on the website that show the events from a day out, a residential visit or a visiting speaker to school. Let your parents and supporters see what you’re up to at school and celebrate your success online. Every time you add a new post into the website, the website database engine will take that post and send it on to your Twitter account for you. This means that every newsletter, dinner menu, term dates etc. that are added will also get automatically shared with parents who follow you via their Twitter app. One less job for you to do! 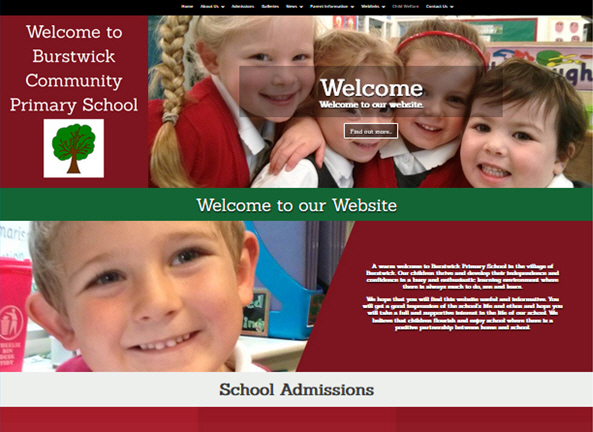 Many schools also like to use Twitter directly and to add photos into there without adding to the website. This is fine and we make sure that you have full access to your Twitter account. All of the options that you need to quickly be followed by your parents and supporters are just a click away on your website. If your parents and supporters want to receive emails from the website they can sign up to a free email subscription service. Every new post added to the website will send out an email with a link in it to the new post. Any who use RSS technology can follow website changes via their web browser. If you wish to have a business page from another social media platform then that’s fine too. We’ll connect the website to it and have a display feed embedded into the site.